The concept of SEO has changed a lot. There were days when keyword stuffing would bring ranks. Now, it’s simply a spammy process that Google doesn’t accept. Even thin duplicate content would make site bring rank, now Google takes no second to penalize the website. Spammed backlinks from forum content and blog would give higher ranks, now the latest algorithm considers quality backlinks from authoritative sources as a good ranking factor. Building backlinks naturally is the key to get good ranks. Although Google made it quite difficult to generate quality backlinks, it’s never been impossible though. So in this blog, we are going to share you few strategy that will help you build a great backlink profile. Most often, when a page is removed, users are redirected to ‘Error: 404’ page. This means the link that is redirecting to that page is broken. This also prevents the site from gaining authority from those links because search engine cuts it off. To get these broken links fixed, you need to redirect the links with the most relevant and quality content pages. But before doing this internally, make sure you’re also requesting webmaster to do the same changes externally to gain more equity of the link. This might seem less important next to your other most important tasks, but if you want to keep the good ranking untouched, this is the first thing you need to consider. Create good pieces of content on the website to make the page relevant and add it with the broken links to fix the issue. Digital space is very unlike other interactive spaces. You don’t know when your brand name is being mentioned by others and will go viral. This is why having Brand Monitoring tool is a great option to use. There are times when people are already talking about your brand without mentioning you. So with this tool, you can track down the websites mentioning your brand names. Work on your content which reader will love. And if it works well, see the search terms related to the post. Search the terms on the Brand Monitoring tool to gather the list of the sites that have your brand mention. And lastly, reach out to the webmaster with links that you can link back to your site. Well, this is important. Ever since Google has emphasized on secured links with HTTPS domain, it has automatically become a major ranking factor. If you have recently redirected transformed into HTTPS certification, all the external links will still be redirected to HTTP version. To prevent this happening time and again, you need to remove HTTP Url, increase link equity and replace them with HTTPS. If this seems time-taking task, first target the links that have quality content. Clean your profile as much as you can. This is the most crucial part to maintain a solid profile. Google checks websites very frequently. This is why it is important for you to make sure that there are no spammy and low-quality links. Use toxic links score checking tools to know your status. Once you have the report, you can ask the webmaster to remove the links. Be mine – 4 last minute digital marketing tips to woo your customers! 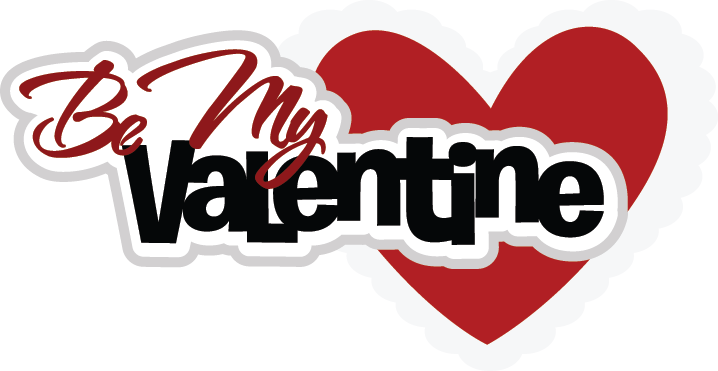 Valentine’s Day – yes, the time of the year is here to show our friends and loved ones our appreciation and love. With all the talks of chocolates, laces, roses and candlelight dinners it’s also the time of the year to build up the momentum of driving the customer interest. It’s Valentine’s Day after all. Show some love to your customers and they will love you back. As the leading digital marketing company in India, it is our responsibility, after all, to talk about the last minute ideas to help you in making the most of the holiday. Fret not if flowers, laces, candies, and dinners are not for your customers, we have got just the right solution! #1. Email valentines– yes, we know, you may not have the time for coordinating direct mail campaign, but a loving email valentine can do wonder. Compose a punny poem or write down a simple love letter for your customer to create that ultimate touch point with your customers this month. #2. Woo, delight & surprise them with a flash sale – Valentine’s Day is the celebration of love. So proclaim your love for your customers with a good deal. You may even delight and surprise them with a flash sale! Give your customers some incentive. Give them deep discounts and follow up with remarketing. #4. Pair multiple elements – Here’s a tip – factor in pairing a number of elements when planning to create and promote your Valentine’s Day campaign. For instance; you may promote a flash sale through email blasts and promote a guerrilla marketing stunt through social media. As the leading digital marketing agency in India, we never get tired of saying – whatever you do to woo your customers, make sure that you execute them well. Keep in mind; it’s better to plan for 1 or 2 well planned strategic touch points on Valentine’s Day than a number of poorly planned touch points which do more harm than any good by turning off your customers! No doubt, November, and December are definitely the right months to gear up your marketing efforts. However; based on the business and target audience, Valentine’s Day can be the next big moment to make your products and services stand out. Let your creative juice flow and do something awesome to make your online store stand apart in the clutter. It’s impossible to deny the cost of love! Yes, the annual celebration of love is upon us. And with just a few days time in hand to celebrate love and almost all things heart-shaped, now is the time to take a critical look at your marketing campaigns. Like it or hate it but you simply can’t deny the fact ‘Forward Planning’ stands as the key element in all marketing initiative and digital marketing is definitely not an exception. Forward planning helps you to do your research well and then plan and execute jaw-dropping campaigns that your target audiences love. We, as the preferred digital marketing company in India, feel it as our responsibility to help you in planning your digital marketing campaign around VALENTINE’S DAY. Here we have put together a few relevant ideas which are fast, easy and smart marketing campaigns which you can implement to make your customer fall in love with your brand! Woo, and engage your audience with your brand – Woo them. Think of innovative ideas to engage with your audience. Leverage your social media platform to woo and engage with your customers. You may ask them to share their Valentine’s Day stories; ask them to share their reasons for falling in love with your brand, or you may even ask them to share their stories of the disastrous dates. Add some charm to this by tying this into a competition to boost the campaign further. Use suitable hashtags. Later turn all these into a Valentine’s Day Blog Post! Add love themed images – Create simple love themed images to go with your social posts. Well; you don’t need to be a designer to create images. There are a number of user-friendly tools such as canva.com that’ll help you to create simple love themed images. Dig out people who need some help in this love season –Monitor people on Twitter who are looking for some kind of help in deciding on what to buy on Valentine’s Day. Play your ‘cupid role’ by tweeting them your advice and solutions. Don’t bombard them with your sales pitch. Instead go gentle and try to help them in the true sense of the term. Also; check whether or not they are in the right country to be your potential target audience. Surprise and delight your audience – Find out the customers who engage the most with your brand on social media. Find out the ones who follow, re- tweet, and share and like your post. Surprise and delight them with a free gift or discount coupon. Chances are there that they will be so overwhelmed that they will talk about this not only on social media but they will also talk about this to their friends, family and more. Yes, this will result in more brand exposure for you! Segment your audience – If in case you have a good customer database then split your customer by gender, age, their preferred choice and more. Then target your audience with varied products based on this data. Email marketing – Create email campaign leading to Valentine’s day sale. Send teaser emails at regular intervals for building the momentum and then one final mail right before the sale starts. Social ads – Create focused social campaigns on Pinterest, Facebook, and Twitter. These 3 social platforms have gained tsunami of attention because of traffic and visual appeal, which they provide. Create graphical contents and GIFs to target them towards your target. Content campaign with a 360-degree approach – Content sells and killer content not just sells but also helps in establishing you as the industry leader. As a leading digital marketing agency in India, we recommend you to create contents with ‘love theme’ to make the most of this Valentine season. Not just lengthy contents but also create short snippets, videos, infographics and more. Promote these using the loyal social media following you have to create a valentine specific brand image. Meet the challenges of this ever-evolving connected digital landscape with the leading digital branding company in India. Leverage the digital capabilities and the market advantage to develop end to end digital business strategy that is aligned with your business objectives. Has it gone viral? How many likes? Did anybody comment? Isn’t it viral yet? Well; while going viral shouldn’t be the only objective of your video marketing strategy and campaign, however, the very expression ‘has it gone viral’ has almost exploded. Well; there is no one size all approach when it boils down to the idea of video marketing, however, there are a few strategic factors, which play their role in making the video successful. As the preferred digital marketing company in India, we have experienced the significance of effective strategies in successful video marketing. Have a story in place and center your video and that – Don’t sell. This is a strict NO NO. Its simple logic, after all, nobody wants to get sold. There are thousands of sales clutter don’t add yet another and increase the noise. Instead, stand apart in the clutter. Your video should, therefore, center around the story and not on the sale. Yes, the strategy you apply for content writing is relevant here as well. Focus on providing real-time value to your customers. Try and appeal to your consumer’s hidden needs and desires. Scared that you may lose your leads this way? Worry not. You may always place a strategic call to action at the end of your video but ensure that your call to action befits your story! KISS – Yes, keep it simple and SHORT – This is an important point to factor in. Simple, short and to the point that’s what the video experts are talking about. As the leading digital marketing agency in India, we never get tired of saying, make our video short and succinct and get to the crux of your tale right from the outset. Manage expectation within the first 2 – 10 seconds of your video otherwise. Spark your audience’s curiosity – Ask questions, use teasers. Entertain. Experiment but do everything in your power to arrest your audience’s attention. Remember; your video should convey the value as in why at all they should watch it! Try and derive the maximum SEO Value from the video. Here’s how – before you upload your video to any social site host it on your own domain. Enable embedding on the video. This, in turn, will help in increasing the chances of receiving inbound marketing links. Okay, when it comes down to the point of VIDE For SEO; you simply can’t undermine the significance of descriptions. Effective, scalable, keyword rich description allows the search engine bots and crawlers to make sense of your video and understand the content. Make sure that your video is tagged with the relevant Title and Description. Questions? Talk to us about bespoke social media management strategy and services, tailored as per your current situation and objectives. You must have witnessed the change – over the past couple of years, digital marketing has somewhat infiltrated in almost every area of our lives. It’s impossible to escape the sponsored ads on LinkedIn, and Facebook, the promoted tweets on Twitter; it’s hard to overlook the frequent website popups. Yes, the list simply goes on. Thanks to the digital marketing plugins and other technical stuff like the tracking pixels and more – yes all these and much more have simplified things further. However; when it comes to effective digital marketing strategy it is impossible to deny the significance of CONTENT. In an article for TopRank Marketing’s blog, the writer has ideally mentioned three significant attributes for an effective digital strategy. The boredom of authoritative, credible and trustworthy marketing can actually be narrowed with a dash of humor! Yes, let’s get back to the point we started with – Digital branding need not be boring anymore! You love to laugh right? So do your customers. So, why are you so serious when it comes to creating your brand content? Use humor because it’s good for your brand’s health. In the ever-evolving and cutthroat competition in the B2B sphere use humor as that ultimate sure shot way to grab the attention of your target audience. Connect them and make them laugh. When done in a witty way, humor will not just help you to get more leads but it will also help you in making your target audience more relaxed. Still humor remains as quite a touchy point in brand marketing. The relevant questions thus revolve – will it offend the target audience? Will they understand the joke? Does humor work at all? Yes, humor work. In fact, there’s nothing better than a good belly laugh to make your brand memorable. Humorous content creates unity – Social science has pro9ved the fact that laughter is social. In fact, we tend to laugh more when we are in a company rather than when we are all alone. To put things simply; laughter helps in easing out the tension. Humor thus forms that ultimate sense of unity through groups. Inculcate this into your brand marketing – for instance get your Twitter or FB Fans laughing, and you will be able to establish that ultimate sense of connections with your brand voice. It establishes emotional responses – Humor creates a sense of positivity. A good belly laugh releases the ‘feel good hormones.’ Laughter helps in relaxing the body and in boosting the immune system. No, we are not talking about the physical benefits of laughter here but all these physical and psychological responses are unconscious, and they create that ultimate pleasant emotional response. This means; by using humor in your brand voice on social media, you play your part in helping people to associate with the relaxed feelings with your brand. As the preferred digital marketing agency in Kolkata, we have the honor of working with some of the reputed brands. From our experience, we can vouch that humor actually works. Here’s the catch line – Here’s the most crucial part – HUMOLR IS NO JOKE when it comes to brand messages and content marketing. Yes, it can be very potent in winning hearts of your target audience but if done wrong it can affect your business’ bottom-line. If you know the rule of the game and if you play your cards well; humorous marketing campaign can be a resounding success and can go viral.